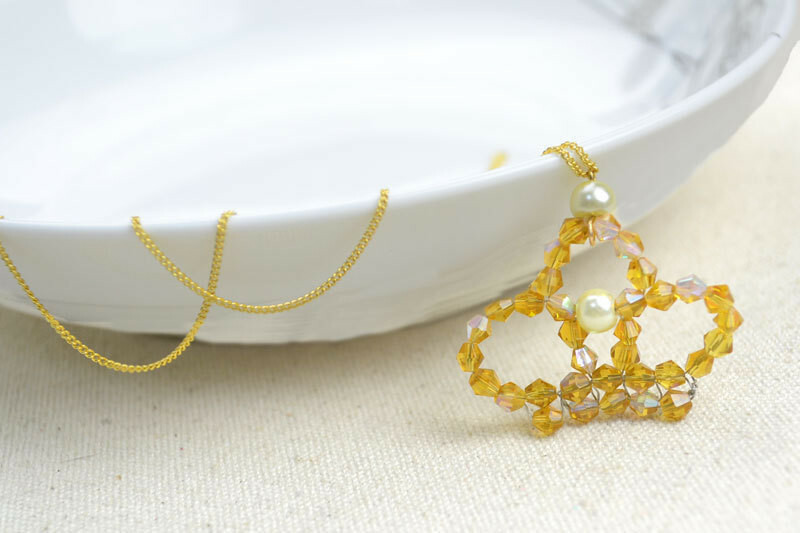 Beads baubles and jewels project-design your own charm necklace. 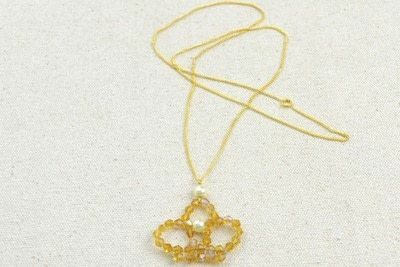 Learn to make this beaded crown pendant necklace that consists of several bicone beads and one focal pearl bead. 1. 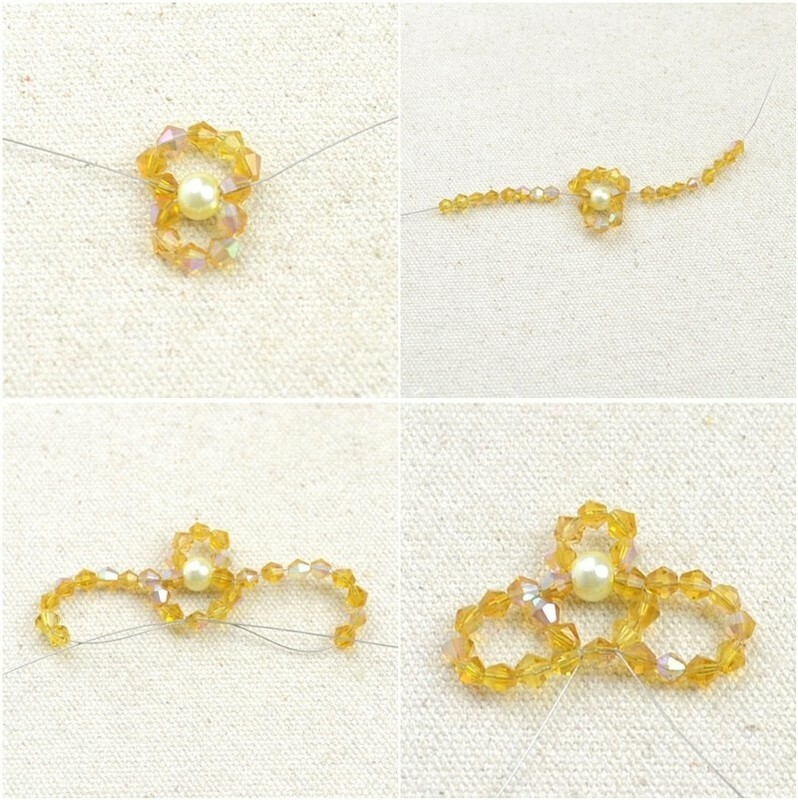 Prepare a long tiger tail wire strand, slide on 5 pieces of 4mm bicone bead. Pass two ends through another 8mm pearl bead. 3. Continually thread 7 pieces of 4mm bicone beads on the right end. Later, feed the left end back through the last bicone bead. Pull the wire tautly. 4. Lead the wire near the pearl bead to go through the pearl bead and adjacent bicone bead on below half. 5. 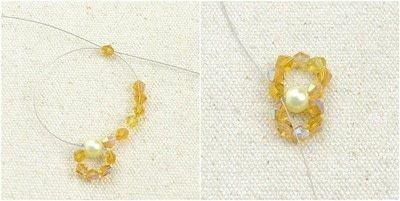 String 8 pieces of 4mm bicone beads onto each wire, pass two ends through the central piece on larger loop. 6. 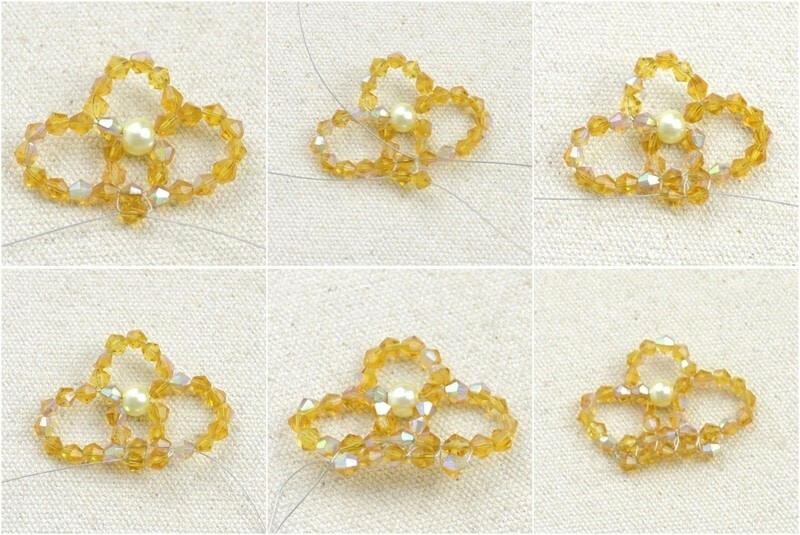 Decorate the below 5 bicone beads by wrapping on another 5 pieces as picture shows. 7. Affix two ends with a knot. Remove all leftovers. 1. 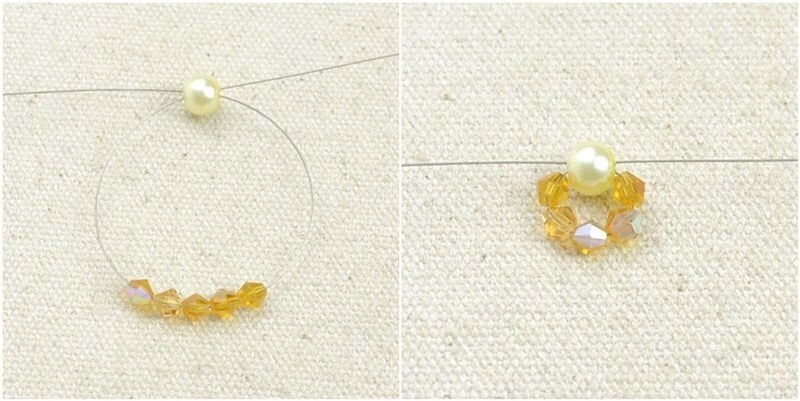 Slide one 8mm pearl bead on eyepin and loop the nearby 1cm pin part. 2. Combine the crown charm with chain using the above element. 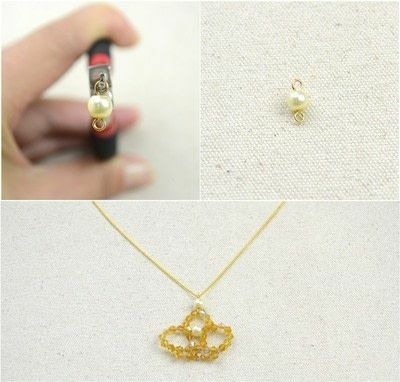 Thus far, you’ve finished designing your own charm necklace. 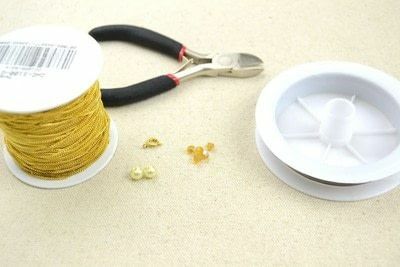 Designing and creating your own charms can be actually satisfying and can save you a lot of money. Gather together all beads baubles and jewels you love and practice with your hands then! Nice day!